I definitely enjoyed this game, even though I was confused by it. Initially I was put off by the hokey “oh this game was dropped on our doorstep because it’s probably cursed” shtick, but considering Knock-Knock has a lot of personality to it, and depicts a man with insomnia more accurately than most other media I’ve come across, it’s definitely worth a look. It can get repetitive at times but… ah just read the review. If to be afraid of darkness is to be wary of the unknown, then insomniacs encounter that void constantly. 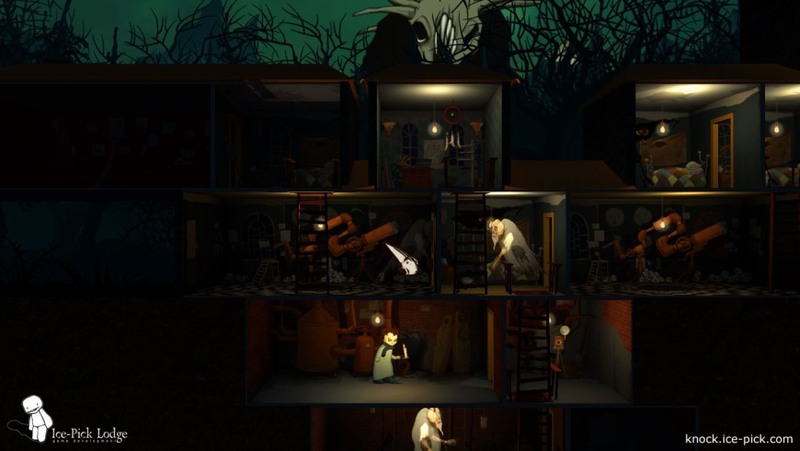 For the main character in Knock-Knock, whose only goal is to make it through the night while trying to avoid the nightmares, the darkness has to be dispelled before sleep can even begin, which makes the whole game seem fruitless in hindsight. Even if you make it through the night, there’s always the next one to look forward to. The newest release by Ice-Pick Lodge—the Russian developer behind The Void and Pathologic—succeeds its predecessors by also being the product of sleep deprived nightmares. Although according to the opening title screen and the company’s website, the game was created based on somebody else’s dreams with little input by the studio. The hook here that the game encourages you to believe is that somebody sent in the game to the studio, asking the team to finish what they started. It’s a predictable found footage trope and you can choose to either ignore it or give it the benefit of the doubt. From the description, you get the idea that maybe the creators don’t believe it either. Thus the message that greets you as you open Knock-Knock fades to the home screen. Not knowing much else about the game, you click on the start button, not really having much of a choice otherwise besides quitting and remaining blissful.